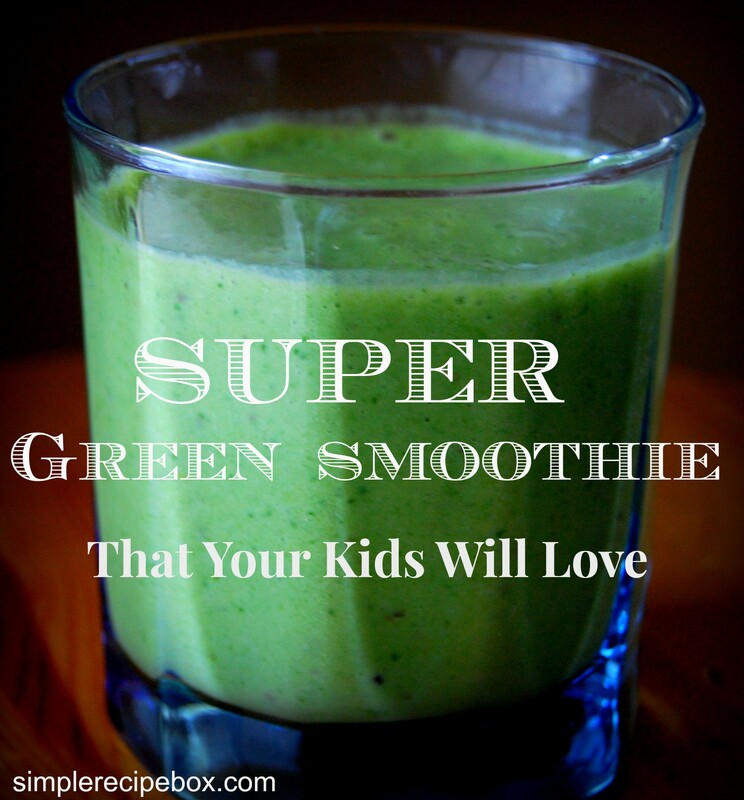 Super Green Smoothie Your Kids Will Love! Have you ever wondered how you could get your picky kids to eat some greens? Get them to eat their greens with this simple, sweet, and delicious green smoothie. The more greens you can sneak into them, the more their bodies will crave them and they’ll be eating salads in no time, I bet. Blend all ingredients together very well. My kids love the way it tastes, and I love all the good stuff I’m getting into their growing bodies. You could additionally add any healthy oils (like coconut oil) or seeds that you like or grind chia or flax into a powder and add that as well. You could also omit the fruit juice and kefir and use coconut milk or almond milk to make it more Paleo friendly.